The government security agent, Martin Fredriksson, was mainly active during the years that former Foreign Minister Carl Bildt was dictating Sweden’s foreign policy, when the “Assange Affair” was widely publicized on the home page of Sweden’s Ministry of Foreign Affairs. According to statements Fredriksson posted on Twitter, his “work” at SÄPO covered different periods between 2004 and 2010, the year Sweden opened its ‘investigation’ against the WikiLeaks founder Julian Assange. The Swedish media establishment awarded this SÄPO secret agent its highest investigative journalism prize, ‘Guldspaden’ (Golden Spade), in 2014. The rationale on which the award was given to Fredriksson referred precisely to the work he had implemented as a paid agent of Sweden’s Secret Police. In the photo below, at the centre of the group, the ex-Security Police agent Martin Fredriksson. It’s worth noting that Amnesty Sweden’s statement has been modified several times since its original release and was eventually deleted entirely sometime around February 2016, but cached versions – such as the one reproduced in the image – still exist. Considering the fact-based risk assessment of the likelihood of Julian Assange’s extradition to the US provided he is physically in custody on Swedish territory,  one plausible conclusion – now confirmed by the intervention of SÄPO’s former agent Martin Fredriksson – would be that Amnesty Sweden simply follows the Swedish government’s position, and indirectly, the US government’s design. After Svd’s expose, Researchgruppen – an organisation headed by Fredriksson that has done a lot of work for feminist media – distanced itself from its former CEO in a statement of 1 March 2016 (See translated excerpt of the statement in Notes & References). Amnesty Sweden, however, has not said a word. M Ferrada de Noli, “Who are behind the ‘Swedish prosecution’ of Assange, and Why?” The Professors’ Blog, 5 Nov 2014. M Ferrada de Noli, “Sweden VS. Assange. Human Rights Issues & Political Background”. Libertarian Books, Sweden, 2014 & 2016. 342 pages, free download PDF. Sam Sundberg: “När verklighetens Salander sålde ut till Säpo.” Svenska dagbladet, 5 March 2016. Arbetaren, “Prisbelönad journalist avlönad av Säpo i åratal” [“Prize-winner journalist was during years paid by SÄPO“]. 2 March 2016. Amnesty International, headquarters based in London: “Sweden should issue assurance it won’t extradite Assange to USA”, 27 Sept 2012. – Rättssystemet i Sverige är oberoende. Jag kan inte göra några uttalanden som binder rättssystemet på något sätt. Då skulle jag bryta mot den svenska grundlagen. 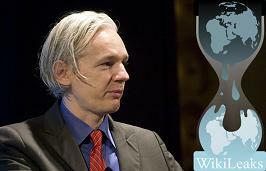 Oliver Gee, “Assange ‘guarantees’ spark Amnesty spat”. The Local, 28 Sept 2012. M Ferrada de Noli, “Sweden’s argument for refusing to issue non-extradition guarantees to Mr Assange is fallacious and hides real commitment to the U.S.” The Indicter, 20 Feb 2016. Amnesty Press, 2016, N° 1, page 28. M Ferrada de Noli, Swedish Section of Amnesty International voted to reject human-right actions on cases Assange, Snowden and tortured Palestinian children. The Professors’ Blogg, 11 May 2014. Leif Elinder, A democratic Swedish “Amnesty International” should support whistleblowers. The Professors’ Blog, 8 May 2014. Anna Widestam. Amnestyfonden. Amnesty Historia – fondens historia. Ulf B Andersson, Amnesty i Sverige : Är krisen i Amnesty över? Amnesty Press, 2 March 2013. SWEDHR: Foundation Manifest of Swedish Doctors for Human Rights.